Hatch Warren Junior School is a large 3 form entry Junior school in Hatch Warren on the outskirts of Basingstoke. The school was built in 1992 with the unusual design of a snail shape. The school was subsequently extend later to include an additional 4 classrooms and dedicated music and drama room. As a 3 form entry school we are able to admit up to 90 children per year group in 3 classes of 30 children. Children across the school are supported by both class teachers and a number of Learning Support Assistants who either support the learning across the class or work on a one to one basis with identified children, tailoring the learning to meet the needs of the children. 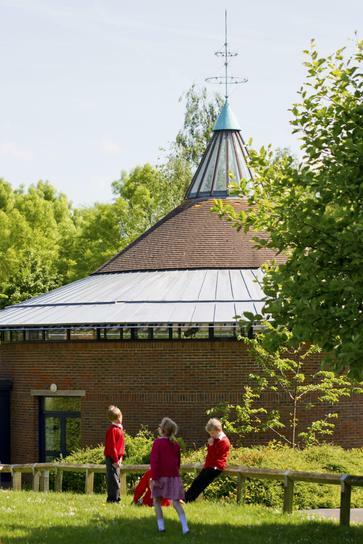 The majority of our admissions come from Hatch Warren Infant School which is located on the same site which has enabled us to develop strong links and ensure a smooth transition. For those children who are admitted from other schools we endeavour to work closely with them to ensure a smooth and successful transition. Should you need any information about our admissions or appeals procedure please see our admissions policy by clicking the "Policies" link below or contact our school office.